Many of us with European heritage are confused about identity. Regardless of where we now live – Europe, North America, Australia or elsewhere - questions arise such as “where is the homeland, what are our origins and who dispossessed whom”? Are we really even ‘European’? Europe might have been the part of the world where our grandparents and more distant ancestors once lived, but that does not necessarily mean that those people were indigenous to Europe. In particular, there is a lot of confusion about the identity of Celts. 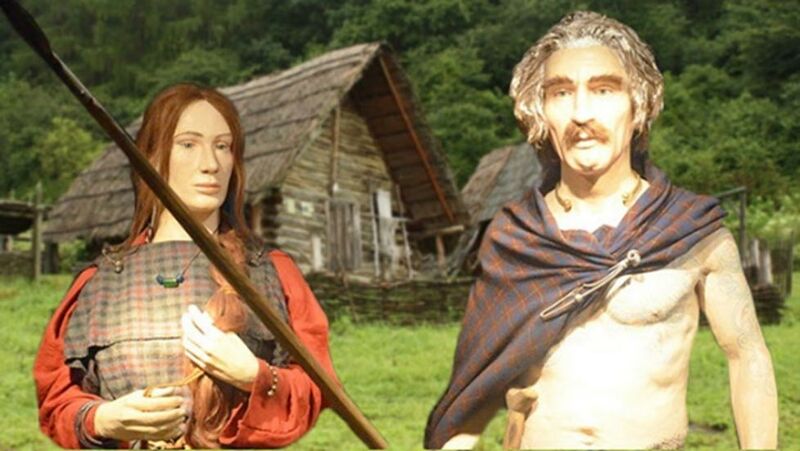 By focusing on the origins of Celts and others, more than 5,000 years ago, using recently published genetic data and other analytical tools, it is possible to discover that there is more to history of the Welsh, Scots and Irish – the people usually referred to as ‘Celts’ - than many realize. The very word ‘Celt’ arouses romantic notions of a proud people, associated with Druids. We tend to think of them as a sensitive spiritual people, in touch with Earth, who were brutally crushed by Romans. Much of what we know about Celts, however, is through the Romans. We experience the Celts through Roman eyes as wild and uncivilized, living in mud huts; in contrast with the Romans who built cities and beautiful villas. No wonder that we think of Romans as more ‘civilized’ and the Celts as backward and primitive.